Dallas and the Sims. Hello! Hi! Dallas here! New member to the CC. Just completed my first Sims 4 Rosebud Challenge (or 1st challenge EVER) and wanted to say hello! I have been a Sims player since 1 (though I have NEVER played Sims 2), and I am happy to be here. I have never bought a Sims game upon its debut, so I am very excited about the Sims 4 Get to Work expansion pack, as I will own that as soon as it is released on March 31st in the USA. Will be starting a new Rosebud soon, but I wanted to congratulate the Gilmores on their 1,000,000 dollar house value! 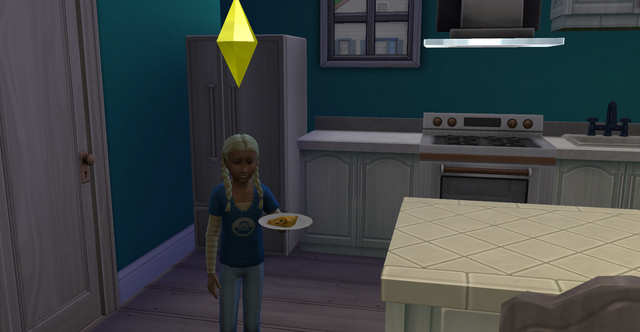 Their second member of the third generation is named Lane, and she will be a feisty future writer! Hello Dallas! Congratulations in completing the Rosebud Challenge. Here is a good place to start for Sims4 stories or challenge progress. Hi Dallas. Looking forward to reading your challenge story. Subject: Re: Dallas and the Sims. Hello!